Open daily throughout the summer, Top of Newport features a full bar, a complete menu with culinary delights and live entertainment. Every weekday starting the first week of June, Top of Newport will feature a special offer from local lobster to tacos, tapas and tequila and Spirits & Stogies held on Wednesdays returns. 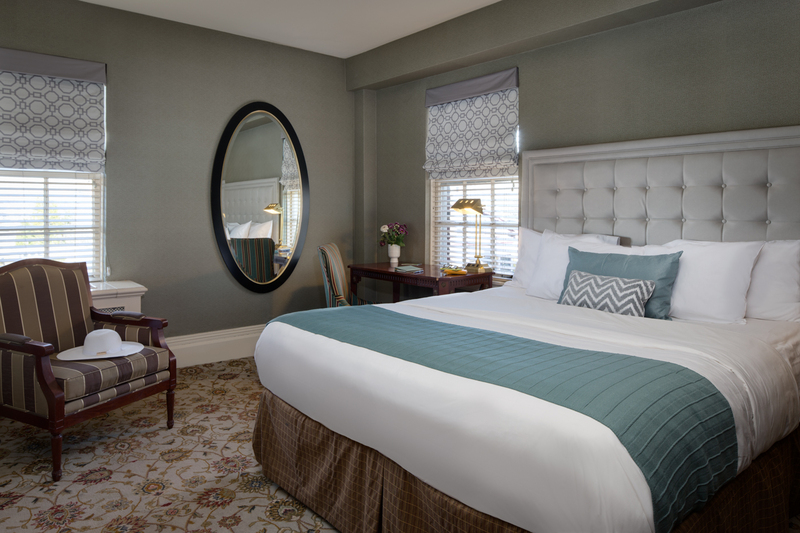 Top of Newport at Hotel Viking in Newport, Rhode Island offers nightly specials and entertainment. Top of Newport is a favorite spot for locals and visitors to relax and reconnect. 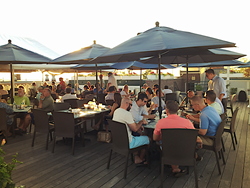 Top of Newport, Hotel Viking’s rooftop lounge, has opened for the 2016 summer season with new events, a new menu, and classic favorites including Spirits & Stogies, Start at the Top 1/2 price raw bar, live music and more. Top of Newport, open daily, hours are 2pm-10pm. Live music is from 6pm- 9pm on Wednesday, Thursday, Friday and Saturday. ‘Spirits & Stogies’ night, held every Wednesday from 6pm-8pm. For more information, call Hotel Viking at (401) 847-3300 or 800-556-7126. 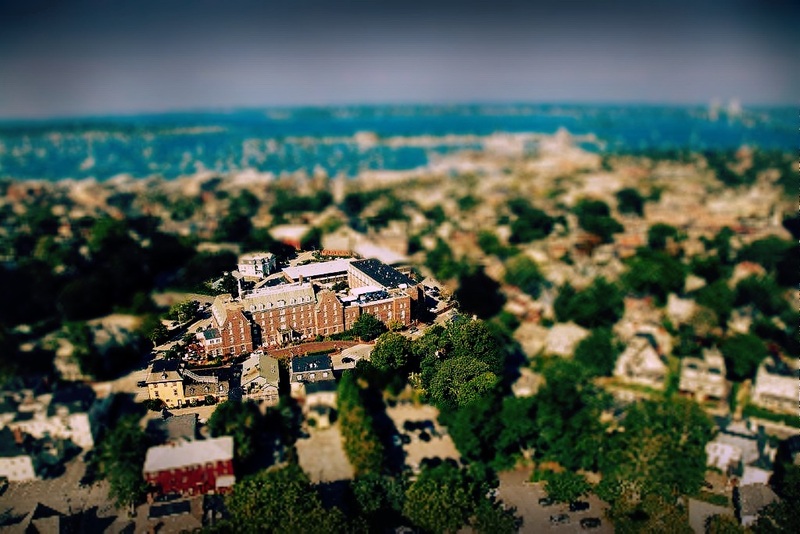 Open daily throughout the summer, Top of Newport features a full bar, a complete menu with culinary delights and live entertainment with a focus on local bands. Every weekday starting the first week of June, Top of Newport will feature a special offer from local lobster to tacos, tapas and tequila. The complete list is below. Each Monday, Chef Barry and his culinary crew construct a handcrafted super burger paired with a select craft beer for $9.99. The menu, featuring locally sourced beef from Sunset Farms, is available on Mondays from 2pm-9pm starting the first week of June. Top of Newport offers a special boiled local lobster dinner with whole lobster, drawn butter, grilled corn, summer salad, for $24.99. The lobster dinner special is available from 5pm-9pm starting the first week of June. Spirits & Stogies, held every Wednesday from 6pm-8pm starting May 18, features a 3-course tasting menu paired with cigars and bourbons and whiskeys. The event is $47 per person and short talks by experts discuss the pairings, cigars and highlighted beverage. Reservations are suggested as the event is ever popular and space is limited. A special Tacos, Tapas & Tequila a la carte menu will be offered every Thursday from 2pm-9pm starting the first week of June. Chef Barry and his culinary crew create mouthwatering taco and tapas specials paired with a margarita of the day. Start at the Top Fridays offers ½ price raw bar from 2pm-6pm on Fridays starting May 20. Friday Night Prime Time features Chef Barry Correia’s popular mouth-watering slow roasted, sea-salt encrusted prime rib. Friday Night Prime Time is available Fridays only from 6pm – 9pm for $27 per person. As part of the hotel’s 90th anniversary celebration, Hotel Viking, which opened on a Wednesday in May 1926, has a Wednesday special 90Years90%. Enjoy lunch or dinner at One Bellevue restaurant or One Bellevue Lounge on a Wednesday and pay only for 90% of the bill (tax and gratuity excluded). SpaFjor offers the same Wednesday special on all full-priced services. Guests only pay 90% of their bill (tax and gratuity excluded). The 90Years90% offer is valid on Wednesdays only, May 25 through December 21, 2016. This offer can not be combined with any other offers or discounts and is subject to availability (spa appointments are required). Follow @SpaFjor on social media for updates on special offers, products and services. Follow @HotelViking on Facebook, Instagram and Twitter for updates, photos, contests and to keep up to date on events and more. To book a spa appointment, call SpaFjor at (401) 848-4848. For reservations for Top of Newport, One Bellevue or for more information, please call One Bellevue at 401-848-4824. Hotel Viking, a member of the Historic Hotels of America, is located at One Bellevue Avenue in Newport, Rhode Island. Hotel Viking offers 208 elegantly appointed guest rooms and suites. 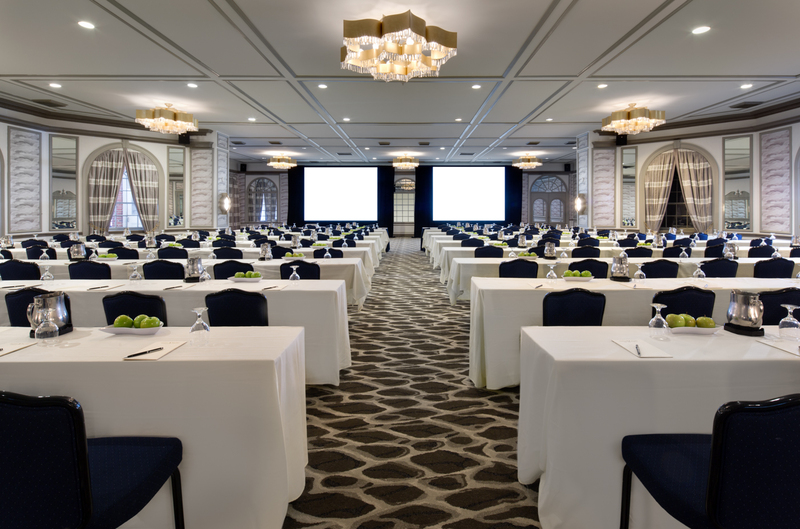 With more than 13,000 square feet of event space, including two ballrooms, boardrooms and private meeting space, Hotel Viking easily accommodates groups and weddings large and intimate. Hotel Viking’s culinary experiences include the award-winning One Bellevue, which offers three meals and Afternoon Tea daily, indoor and patio dining, as well as a bar and lounge. Top of Newport is Hotel Viking’s seasonal roof top lounge offering live entertainment and special events and menus. SpaFjör features a selection of massage and skin treatments. 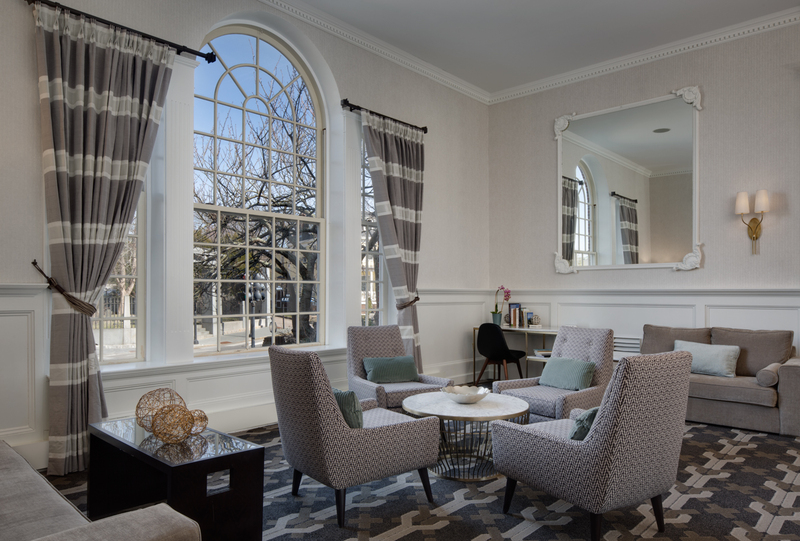 Additional amenities include an indoor heated pool, fitness center, courtyard and the historic Newport Kay Chapel. Hotel Viking is a 30-minute drive from TJ Green Airport (27 miles) in Providence and the Providence Train Station, and is driving distance from Boston (70 miles) and New York City (170 miles). For information, please contact Hotel Viking 401-847-3300 or visit online at http://www.hotelviking.com. Be social with #HotelViking at http://www.facebook.com/HotelViking, http://www.instagram.com/hotelviking, and http://www.twitter.com/HotelViking. Boston-based Pyramid Hotel Group is one of the predominant hotel management companies in the U.S., managing and asset managing a diverse portfolio of more than 80 hotels and resorts in destinations throughout the United States, Europe and the Caribbean. For additional information please visit http://www.pyramidhotelgroup.com.